Business as usual for OnLive's customers, though over half of its former staff remain "non-hired". Following last week's string of rumors over the future of games streaming service OnLive, its new holding company has clarified some details in an official statement. On August 17, technological investors Lauder Partners bought out all of OnLive's assets and transferred them to a company intending to trade under the same name. The assets include all of the service's intellectual property and technology, but not stocks and shares. The company expects users to remain unaffected by the changes, stating that all of OnLive's game rights will remain with the new company, and there should be no interruption to the service. It also hopes that the growth its userbase has seen in recent months will continue despite the company's downsizing, in which over 50% of its workforce has been laid off. 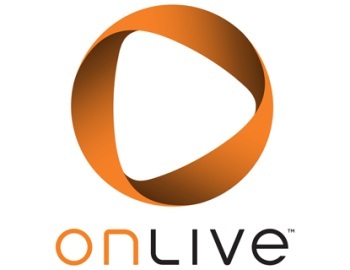 Unlike OnLive's assets, its shares were not transferred, so all former shareholders in the company have lost their stock without any payout. They have also not been offered shares in the new OnLive. This includes OnLive founder Steve Perlman, who is receiving "no compensation whatsoever", and the majority of executives will be receiving "reduced compensation". The statement said that this move was mainly in the hope that the company could hire as many new employees as possible with the budget it has available. The shift affected those involved in OnLive somewhat more strongly. "Almost half of OnLive's staff were given employment offers by the new company at their current salaries immediately upon the transfer." This left more than half of the former company as "non-hired staff". The move hasn't left dropped employees completely out in the cold, though, as previous staff members will be offered consultancy work in exchange for options in the new OnLive. Additionally, once the company secures further funding, it plans to expand its staff by hiring new employees and former OnLive employees alike.